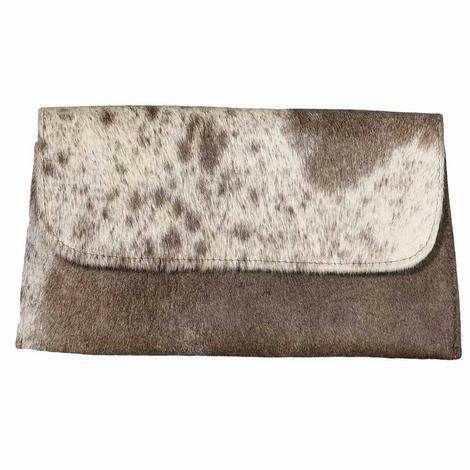 This brown and white cowhide clutch by Jackson and Hyde comes with a detachable, crossbody strap. The thin, lightweight leather strap easily fits into the clutch when not in use. 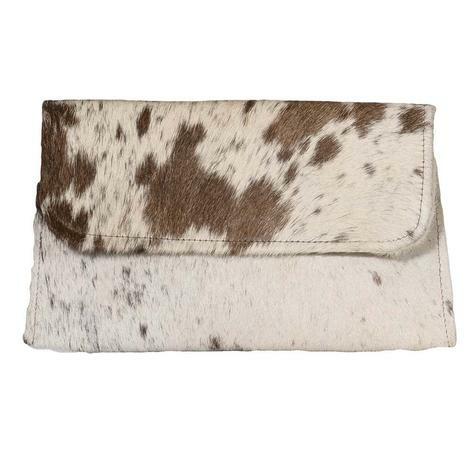 This cowhide clutch by Jackson and Hyde comes with a detachable, crossbody strap. The thin, lightweight leather strap easily fits into the clutch when not in use.